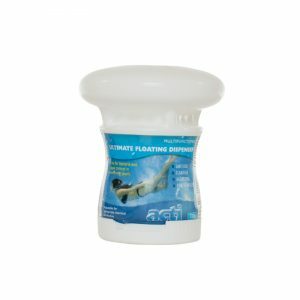 The Ultimate Floating Dispenser is pre-filled with stabilised chlorine tablets which slowly dissolve over a 3 – 5 week period. This makes the dispenser invaluable if you are unable to dose your swimming pool on a regular basis or whilst you are away on holiday. 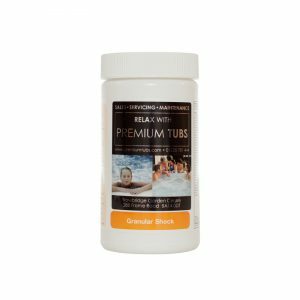 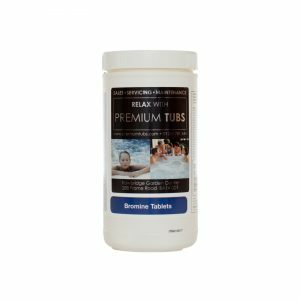 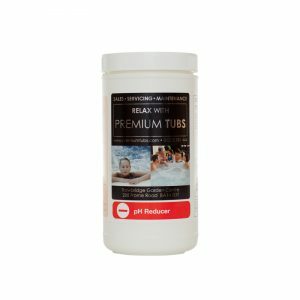 The tablets contained within the dispenser have a high level of available chlorine, are stabilised to minimise chlorine loss to sunlight in outdoor pools and contain a clarifier for sparkling clear water. 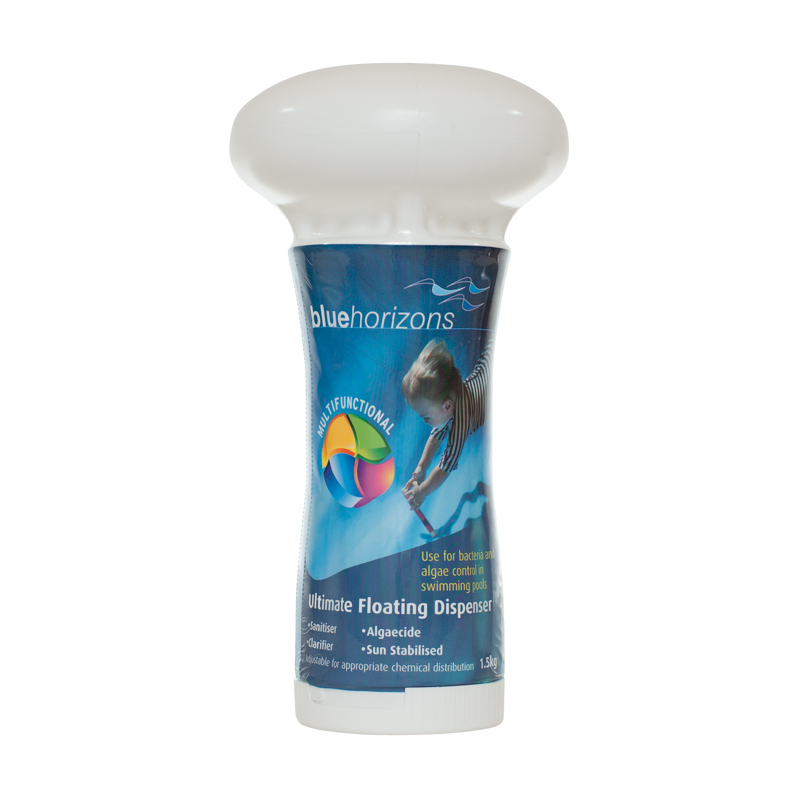 The 720g version is suitable for swimming pools between 2,500 – 5,000 gallons whilst the 1.5kg product will treat pools between 5,000 and 20,000 gallons.